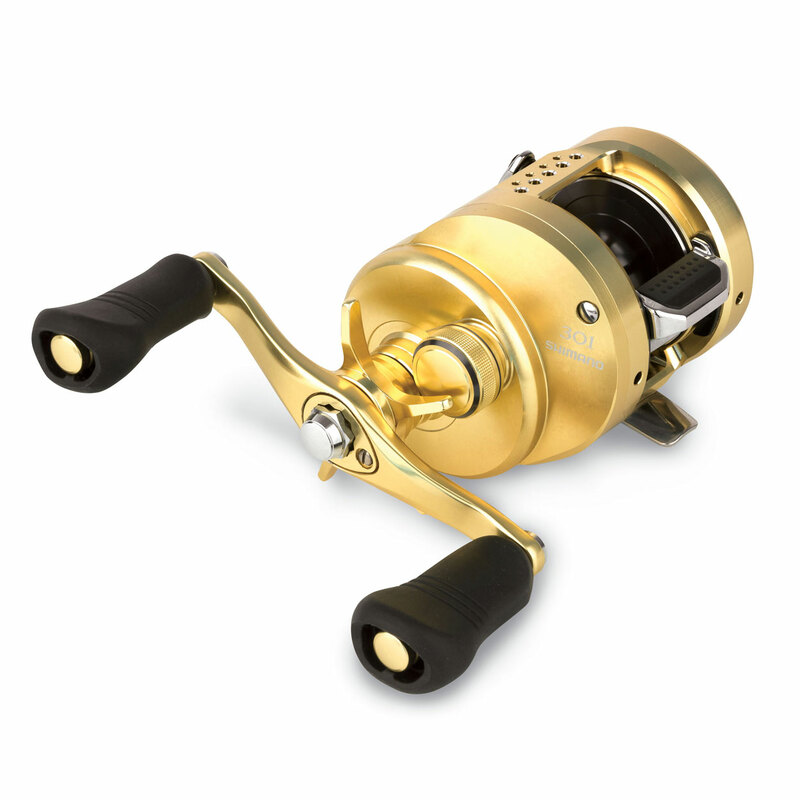 The Calcutta Conquest is the flagship model of the round profile baitcasting reels in the Shimano Europe range. On the first sight, it looks identical to the previous generation but some important improvements have been made for this technological advanced ‘big fish / big lure’ fishing machine. The braking system changed (and the side plate as well, no external dial unit anymore), the levelwind is now synchronizing with the line on the spool, the gear ratio is changed to 6.2:1 and the drag now has a ticking sound (like a spinning reel) when line gets pulled of the spool. Exciting new features for this beast of reel! The rest of the features are Hagane Body, MicroModule gear, X-SHIP, S3D spool, 12 S-ARB bearings, etc. A piece of technological engineering perfection, making fishing with heavy lures feel very smooth and light! Casting big lures (softbaits, swimbaits, jerkbaits, spinnerbaits) for pike and other large predatory fish. Also very suitable for big catfish fishing with teaser, fireball or float.